Project: education to rehabilitate street children and child victims of trafficking in Honduras. This will enable street children and victims of trafficking to return to school! Education plays an essential role in the Casa Alianza Honduras rehabilitation programme. Every year, the organisation helps on average 200 children and teenagers, who have lived on the streets or are victims of violence or trafficking, to return to school. To allow children to return to school, Casa Alianza Honduras often has to carry out research and administrative tasks to obtain the necessary documents to register these children with a school (identity papers and old school records if they exist). 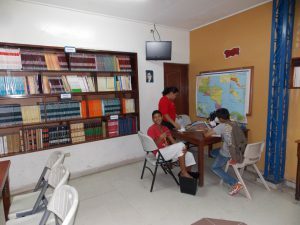 As well as enrolment and transport costs, Casa Alianza Honduras also provides children with uniforms and all the materials they need for their studies. What is more, a team of specialised social educators are engaged in monitoring children in schools through conducting visits, talking to the people in charge of schools and providing the children with daily support for their homework.